With summer around the corner those of us with oily skin know that usually means a glistening shiny complexion, and you’re not alone. According to various studies 75 percent of people aged 15-20, are affected by oily skin, partly because hormones play a big role in the over production of oily skin. Here’s the thing. You can’t completely get rid of your oils. Your skin type is genetic. But you can do a few things to alleviate greasy skin responsibly without over drying your skin. Let’s start with these top 9 tips! 1. Look for a cleanser with papaya extracts. Papaya continues to grow its skin-health appeal because of papain, a powerful digestive enzyme naturally found in the fruit. When applied topically to the skin, this enzyme aids in breaking down dead skin. Cleanse your face with Pure Fiji’s Purifying Cleanser no more than twice a day, morning and night is perfect. Your skin should feel soft, not tight, after washing. Use a toner after cleansing to balance your skin’s pH and clear your skin of any oil or bacteria that has been left on the skin after cleansing. Avoid ingredients that contain alcohol, menthol, camphor, or peppermint since they dry out the skin, which in turn actually produces more oil. Instead use Pure Fiji’s alcohol-free toner. It contains cucumber, a soothing natural anti-inflammatory, and witch hazel which is a natural astringent designed to remove excess oils much more gently than an alcohol-based toner. Foundation can feel heavy, especially in hot weather because it melts into your pores and clogs them, then they produce even more oil. Try switching to a tinted moisturizer instead. Exfoliating once a week is one of the keys to balancing out oily skin. Pure Fiji’s Exfoliating Scrub gently exfoliates with jojoba beads and brightens the skin with its pineapple fruit enzymes - all without leaving skin feeling tight or parched. Take your exfoliating to the next level by incorporating the Clarisonic Classic Sonic Skin Cleansing System into your skin care routine, which uses sonic frequency to loosen dirt and oil in the pores. Just be gentle and don't overdo it. Many people think that they don’t need a moisturizer because their skin is already oily. Some also think that moisturizers will only make skin oilier. Not true folks. It’s actually the opposite. If you don’t moisturize it sends the signal that you need moisturize so it overcompensates. And guess what happens? You end up producing more oil. Try one of these homemade masks once or twice a week. It can do wonders to tighten & hydrate your skin, and promote an even skin tone. Make sure you cleanse your face first. Mix ingredients in a glass bowl. Rinse off with warm water and face cloth. Finish off with Pure Fiji’s Toner and Perfecting Day Crème. Whip together the egg white and honey until well combined and slightly frothy. Add ground oats or flour so it looks like a paste. Apply to your face while avoiding the eye area. Rinse off with warm water and a face cloth. Give your skin a hydra-boost with Pure Fiji’s Hydrating Body Mist. For a quick matte fix, mist your face throughout the day and blot with a tissue. Oily skin is susceptible to blackheads. When you steam your face it softens the sebum inside your pores, and that makes it easier to clean your face. Find a comfortable table and chair, most likely a dining or kitchen table. Play your favorite tune to help you stay in a Zen mode. Tie your hair back to ensure it stays away from your face. Cleanse your face using Pure Fiji’s Exfoliating Scrub. Rinse face with lukewarm water. Pour 4 cups of boiled water to a medium to large size bowl. Add the essential oil and basil leaves to the bowl. Mix slowly. Lean over the bowl mixture, keep your face about 8 inches from the water, and drape a towel over your head to create a tent. You can control the heat by raising or lowering your head over the water. Steam your face for 10 minutes or until the steam dissipates. 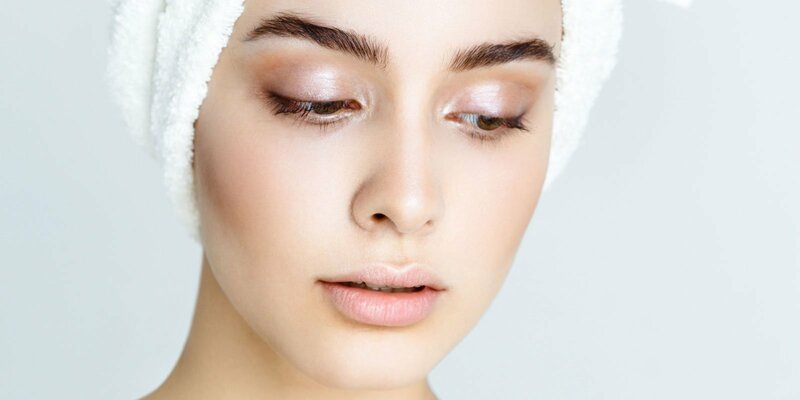 Rinse your face lukewarm water and finish off with your favorite serum and moisturizer. Oily skin doesn’t have to be doom and gloom. In fact, those who have oily skin tend to have fewer wrinkles as they age. Gotta love that right? As you can see there are many ways to manage oily skin. Remember that your oil glands are triggered by hormones. That also includes stress hormones. So make sure you get enough sleep, practice self-care, and choose only high quality natural products like Pure Fiji.